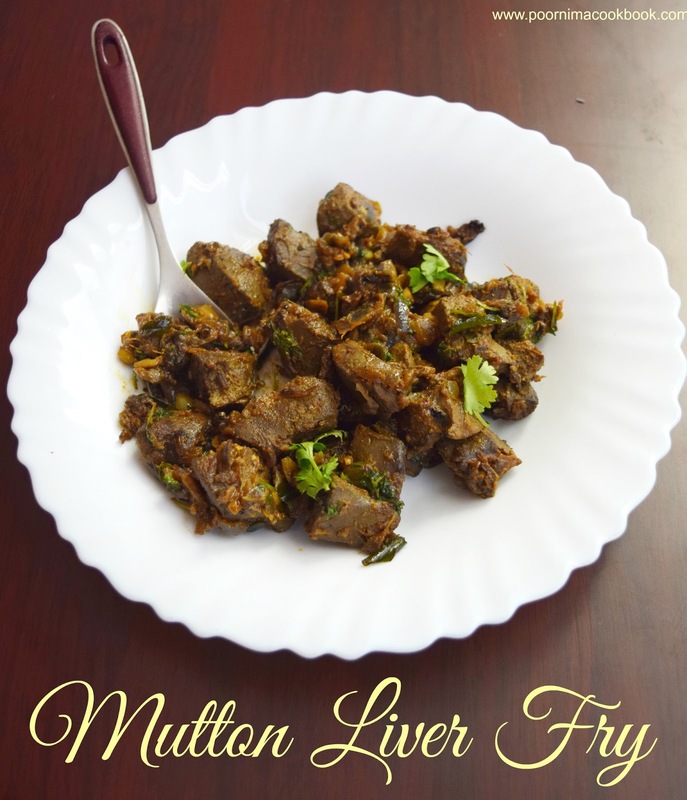 This Goat liver fry is a delicious, spicy dry preparation which is a treat for organ meat lovers! Goat liver is excellent source of protein and rich in iron & vitamin A. Though it has many nutritional benefits, moderation is advised due to its high cholesterol content. I learnt this recipe from my friend Rathi; try this and give your feed back. Chop the liver into pieces and clean it well with water and keep aside. Heat oil in a kadai; season it with fennel seeds and curry leaves. Once it crackles add finely chopped onions. Sauté till it becomes translucent and add crushed ginger & garlic. Sauté well; add chopped liver, turmeric powder, red chilli powder, coriander powder and salt. Mix well and add water just to immerse; close the pan with a lid and cook in medium flame for 8 to 10 minutes. Once the liver is cooked and the mixture becomes thick in consistency, add the pepper powder and mix well. 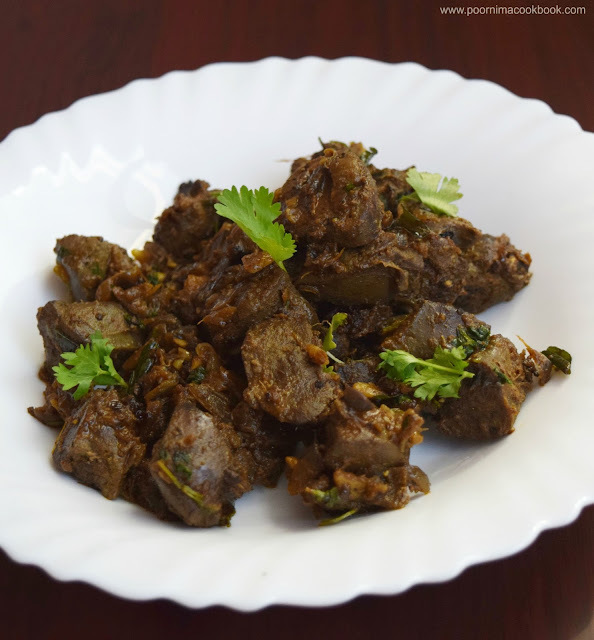 Serve hot with steamed rice paired with mutton or chicken gravy or with rasam. Adjust the spice level according to taste. You can add a tomato to this preparation, to make it into a gravy / masala type consistency. 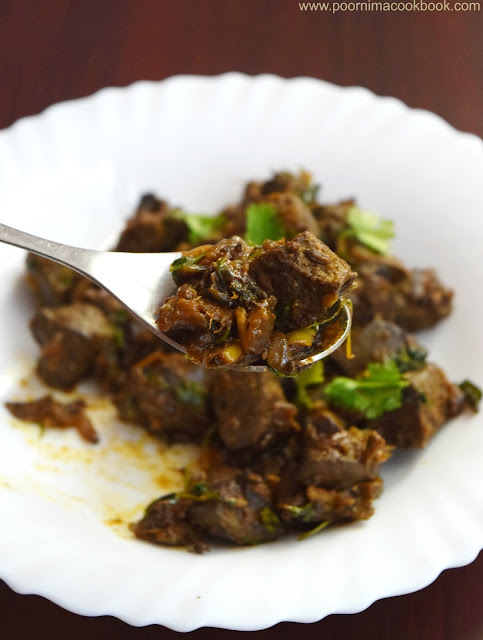 Don't cook liver for long time ; it has a tendency to become harder in texture.